Now we come to what I believe to be the best regeneration, and indeed the best regeneration story. ‘The Caves of Androzani’ gives Peter Davison the best send-off any Doctor has ever had. I’ve always felt this story is like an epilogue to the Fifth Doctor era; ‘Resurrection of the Daleks’ is, for me at least, the big finale. The scenes with Davros, in particular, speak volumes of this incarnation’s character, and the departure of long-running companion Tegan makes it feel like an ending. What Caves gives us is one last hurrah for this Doctor and a conclusion to his character arc. This incarnation was far more vulnerable than any who had come before him. His biggest flaw was his curiosity; one of his ‘defining characteristics’. This frequently got him into trouble and in one story, it led to an adventure with some Cybermen. We all know how that ended. 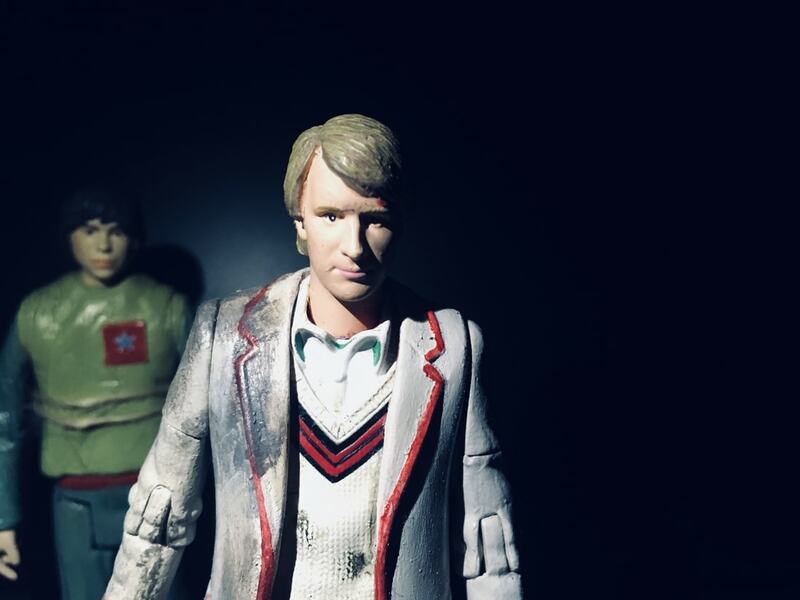 It may not be visible on the surface, but the death of Adric haunts the Fifth Doctor until his end. It does become apparent, however, when he says goodbye to his other companions. He is clearly devastated when Nyssa chooses to stay on Terminus. He is devastated again when Tegan can no longer stand to travel with him due to just how many deaths she has witnessed, and he is reluctantly forced to kill Kamelion. In a way he failed to save all of his companions, barring Turlough. His final line, however, almost foreshadows the adventure the Doctor and Peri are about to find themselves on. The ending of ‘Planet of Fire’ very nicely sets up the final story, as the Doctor is clearly very reluctant to have another life in his hands. Caves is a very different tale to most others. 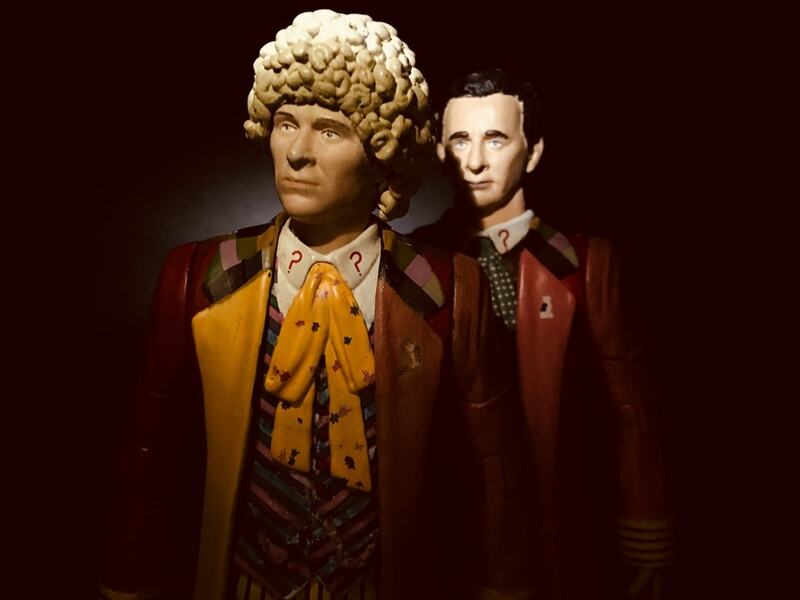 There aren’t innocent people that need liberating, there are no allies – the Doctor and Peri are caught between two warring sides and just need to leave. To put this very kind and vulnerable incarnation into this story is a great idea, and it’s very telling that at the end, he regenerates in a much brasher incarnation to perhaps cope better with these situations. In classic Fifth Doctor fashion, it is his curiosity that gets them into this situation. When Peri is on the verge of death, the Doctor is determined that this time he will save his companion. Suffering from Spectrox Toxaemia himself, he goes through a lot to find the cure and even fights off his regeneration at the end of part three to ensure he saves a girl who he doesn’t’ even know very well. A lot of Fifth Doctor stories saw many deaths that the Doctor was powerless to prevent. His desperation to save just one person really helps to emphasise that he is trying to redeem himself for his previous failures. The Sixth Doctor’s regeneration is perhaps more indicative of behind the scenes politics than of his character. This is quite a shame. Colin Baker’s vision for his Doctor was rather interesting, having him begin as arrogant and pompous but mellowing over the course of what should’ve been a lengthy stint in the role. A regeneration concluding this character arc could’ve been just as effective as Peter Davison’s. Instead, we get Sylvester McCoy in a wig. It’s quite a disappointment that the last time we see this most magnificent of incarnations is just a routine return to the TARDIS. His last words, however, are really rather amusing. I don’t blame Colin Baker for declining to come back just to film the regeneration scene; the BBC had treated him horrendously. As such, there isn’t much to say other than the scene being absolutely hilarious. Colin Baker’s clothes are very baggy on the much smaller Sylvester McCoy, and the wig is quite obviously a wig. We aren’t even told how the Sixth Doctor meets his end. Does he fall off the exercise bike? Has he drunk too much carrot juice? Did Mel murder him?! This is something that should’ve really been answered. I do unashamedly love this scene though, if only for how ridiculous it is. Thankfully, Colin has been able to play out the Sixth Doctor’s character as intended through the Big Finish audios. While he isn’t my favourite Doctor, I do rate Colin very highly and on audio, he is definitely the strongest. Big Finish has actually explored his regeneration too. I have yet to hear ‘The Last Adventure’, but I can be sure it’s much more fitting than what we got in 1987. Now for a long time, I wasn’t keen on the Seventh Doctor’s Regeneration at all. This was the Doctor who tricked the Daleks and destroyed Skaro; this was the Doctor who defeated Fenric; this was the Doctor, who was far more than just another Time Lord. To see him so simply gunned down, and killed on the operating table always bothered me. However, it has really grown on me recently. It gives us an instance of the Doctor dying in a very realistic and quite disturbing way, which is something quite different when compared to radiation poisoning or death by Spectrox Toxaemia. The main reason I’ve come round to it though is that it is very ironic – in a tragic sort of way. 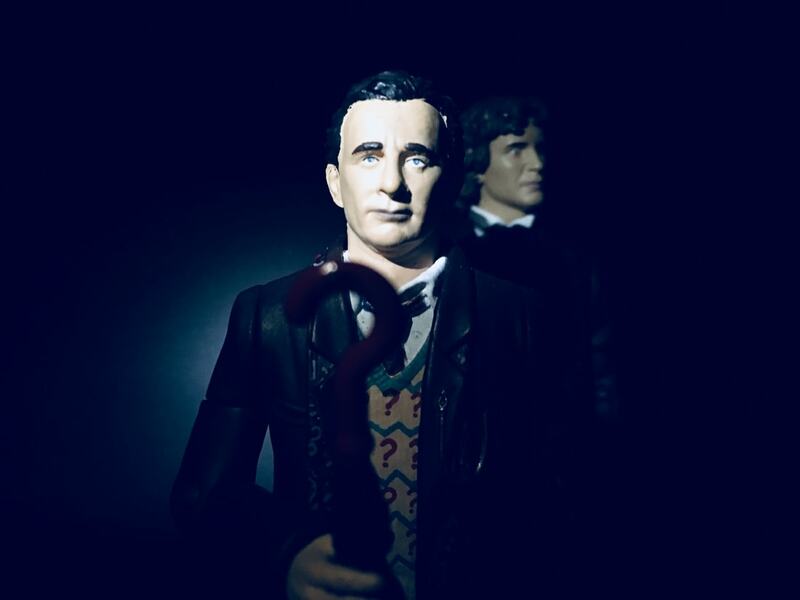 The Seventh Doctor was arguably the most powerful Doctor up to this point, and certainly the most devious. I almost feel like such a brutal and unfitting death is his comeuppance for the manner in which he defeated the Daleks in particular, as well as how he manipulated Ace. This incarnation was known to plan his victories before he’d even arrived, so an unexpected death works quite well. Even though I would’ve preferred McCoy’s exit to have been handled by the likes of Andrew Cartmel and Ben Aaronovitch, the one we got isn’t without merit after all. So in conclusion, the Classic Regenerations really are a lot stronger than a lot of people give them credit for. In a lot of ways, they would go on to inspire the regenerations of the Russell T Davies era in particular. The Ninth Doctor finally finding peace could be compared to the Fifth Doctor’s death. The context surrounding the Tenth Doctor’s death meanwhile clearly borrows from those of the Second, Third, Fourth and Fifth Doctors. I’m not a huge fan of that final story, but I do think it used those elements very well. The regenerations of the Moffat era were I less effective, and I think that’s mainly down to how much regeneration was used throughout that era. The way to solve this would be to use a different effect each time like in the Classic era. The circumstances weren’t as strong either. Grand speeches are all very well, but a good regeneration story should speak volumes about the outgoing Doctor’s character throughout. In this respect, the Eleventh Doctor really did need another year to wrap up his era’s story and the Twelfth Doctor should’ve gone during ‘The Doctor Falls’. Behind the scenes circumstances obviously stopped these things from happening, but I really do hope that the regenerations of the Chibnall era are as strong as those from long ago.